I often find myself wondering where time has gone. I work really hard and do accomplish good work, and yet I sometimes feel like my to-do list is neverending and all I’m ever doing is catching up, not getting ahead. Maybe you feel the same? If so, here’s 5 great apps to help you be productive, manage your time, and reach your goals! But before we begin, it’s make sure your goals are SMART goals…. The aim is to work smarter not harder. And to do that you need to have SMART goals. It takes more time and effort at the start to really clearly define your goals and make sure they’re SMART, but it’ll make a huge difference throughout the process. Once you’ve set your SMART goals, it’s time to begin. FREE. Free is my favourite number. TRACKS YOUR NUTRIENTS: Get a gram by gram breakdown of your daily macro nutrients, protein/carbs/fat, and see a pie chart of specific macro breakdown per meal. Seeing this info will help you make sure that your diet is balanced and that you’re getting enough protein per meal to maximize muscle building process (which will also help you burn fat). CONVENIENT: You can log your food from anywhere. Your account connects both the website app and your phone app so that no matter where you’re entering in info, it all syncs up. HAS A BIG DATABASE: I like big databases and I cannot lie (ha). But seriously, the database is has over 3000 different kinds of foods that you can choose from. You can also add your own custom recipes to the list. GIVES INSTANT FEEDBACK: Before you eat a food, scan the barcode or type in the item and select it from the list. Then check the nutritional information and calories. Voila. Instant feedback. FLEXIBLE: This app is suuuuper flexible. You can change your ‘diet profile’ to match your individual needs, so whether you’re on a strict diet, or have specific recommendations from a doctor/dietician/som model on instagram (kidding, kinda), you can customize your program to be flexible and suit you. Generally, the program calculates the caloric intake that you need based on your height, weight, gender, lifestyle, and goals. So you’ll say you want to lose X amount of pounds by X date, and it’ll tell you how many calories you need to be consuming per day. It’ll also advise you if your goal is a little too ambitious or unsafe (too few cals). HAS A COOL SCANNING APP: Yes, this is actually a huge pro for me as silly as it may be. The app has this scanning function where you can scan a barcode and it’ll make a little noise and then bring up all the nutritional information of that product. When the app first came out and I discovered this feature I kept saying “THE FUTURE IS HERE.” It’s still cool tho. Use a website/desktop app such as Toggl to track your hours so you can be mindful of how much time you’re spending on projects. Using Toggl, you can even label your tasks and add custom project labels to keep yourself organized. Here’s why I like it. EASY. It’s one of the most intuitive apps I’ve ever used. LET’S YOU LABEL THINGS. You can (but don’t have to) add a description label, project label, and other custom labels to your tasks. At one digital marketing company that I worked at, my boss used the project labels to separate clients and keep track of our hours so she’d immediately know how much to bill the clients. So much easier than manually keeping track of and adding up hours. You can see how exactly you’re spending your time. Toggl does weekly reports that show you a visual breakdown of exactly how you spent your time. YOU CAN ASSIGN TASKS TO OTHER PEOPLE. Emails are great for communication but not so much for keeping track of what you need to do and what you need other people to do. Now you can do that and keep it all in one place and organized by tasks. YOU CAN ASSIGN DUE-DATES. If you don’t finish the to-do list items on time they’ll show up as “overdue” which will totally make you feel guilty and hopefully make you want to check those items off and get back into the good books. You can also give other people due-dates for tasks you assign to them. YOU CAN MAKE NOTES AND ASK QUESTIONS. Let’s say your colleague or client gives you a task but you’re not sure what something means. You can ask them a question in the comments section of that task and they’ll be able to respond there. FREE. Obviously. Unless a product is REALLY worth it, then I’ll always recommend a free version. If you find you really love it and want to do more with it, you can upgrade to premium for less than $2.50 a month. IT DOES YOUR BORING TASKS & SAVES YOU TIME. Ain’t nobody got time fo’ boring tasks. So you know those pesky little to-dos take up your time and keep you from focusing on the BIG tasks you’d actually benefit more from doing? Yeah. 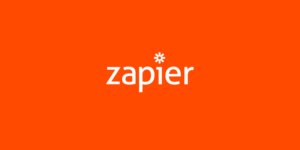 Zapier can do some of those for you. For example, Zapier can message your team members in Slack about an upcoming Google Calendar event. IT CONNECTS WITH OVER 750 OTHER APPS. You can tell Zapier to automatically detect “Trigger” events from other apps and perform an “Action”. 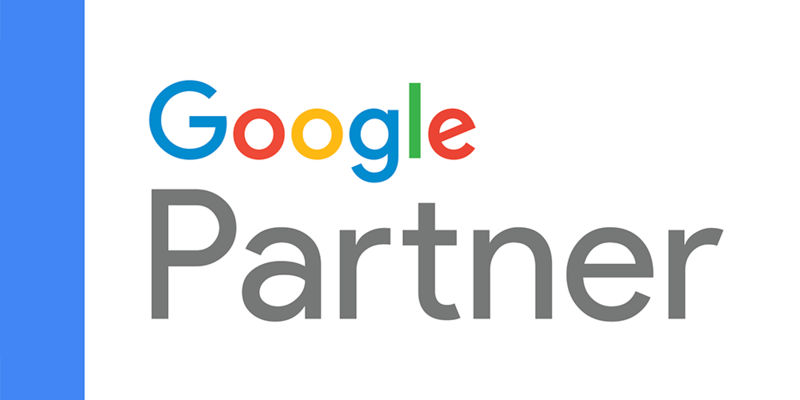 Think of it as a business-focused version of IFTTT but more powerful. If I just lost you at IFTTT, it’s another similar app. Okay so for example, you can set uploading a picture to instagram as a “trigger”, so whenever it happens Zapier will automatically perform the “action” of posting the picture to twitter as well. Alright, this last one isn’t really an app. There are apps that utilize the Pomodoro technique but personally I like using the web browser because a) it’s free and b) I track my hours on toggl and my tasks on todoist and don’t need to track any data from the sessions and c) I usually set the timer on my phone while I’m doing work on my laptop so that if I feel the temptation of checking my phone I’ll immediately see the timer. 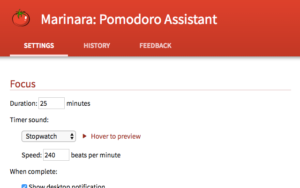 Alright now you might be wondering what the Pomodoro technique actually is. It’s is an incredibly simple, effective, popular time management lifehack whereby you work in blocks of time that are typically 25 minutes long (called pomodoro sessions), followed by a 5-minute break. You are meant to repeat this pattern three times and then take a 15-30 minute break at the end of it. I swear by this technique and use it when I really need to focus! I recommend just bookmarking the web page on your phone and giving it a try. Alright! That’s it. Please let me know in the comments below if you try or have tried any of these apps and if there are any other apps or hacks for productivity and goal tracking. We’d love to hear your thoughts!